Once you have packaged wine into bottles, cases, kegs, etc., you will use the Dispatch operation from Inventory – Dispatch to enter details for stock items leaving the winery/warehouse. 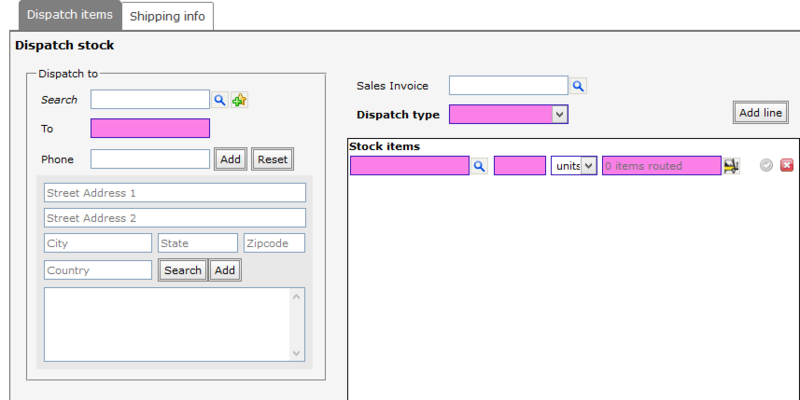 You will also find Dispatch as an option by clicking the Operations button at the bottom of any Stock Item Overview. Dispatching packaged goods is very similar to dispatching bulk wine. Begin by finding the bottled goods to be dispatched. The party to which you are shipping (add to your address book if the Search doesn’t find the listing for your ship to). 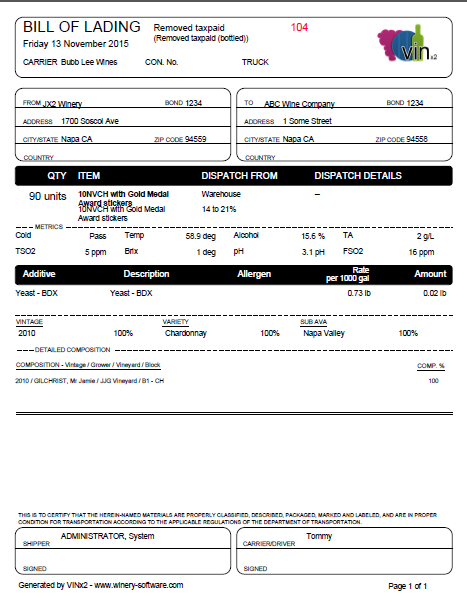 The stock items (you may dispatch more than one packaged product on the same Bill of Lading; just click Add Line). Route from – the area from which the stock is being removed. The information on the second tab is optional. When done, enter a time/date stamp and save. Saving the dispatch portion opens the Bill of lading declaration. You will notice it is almost identical to the bulk wine Bill of lading declaration, there is one area different – linked wine. 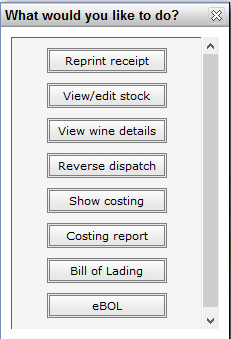 Use the Please select button to locate the correct wine associated with the packaged goods. Once you have dispatched packaged goods,you may need to find it later. Go to File – Search – Dispatch search. Use the Search Criteria to filter search; if you want to find only packaged goods, click the Packaged only radio button. Unless you specifically change the date range, the search defaults to the current calendar month. When you click on any of the dispatches, the What would you like to do? 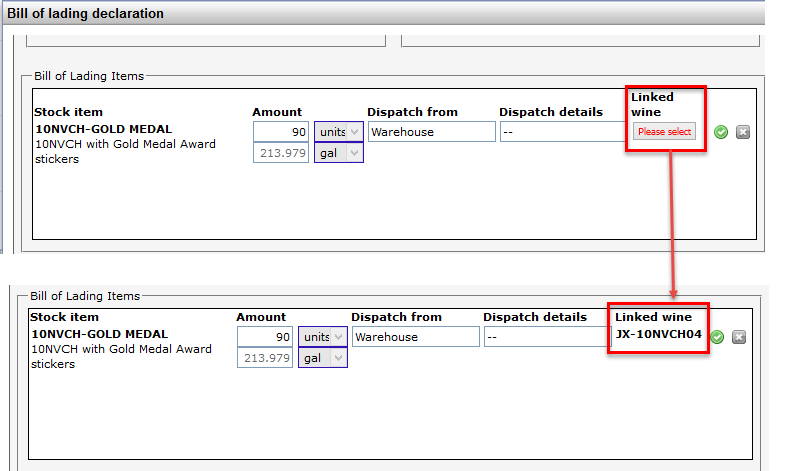 dialog box opens.This will allow you to view details of the dispatch, stock item or reprint a Bill of Lading. Find the dispatch (using the instructions above) and select Reverse dispatch from the What would you like to do? dialog box. Notice the Reverse? tick/check box. 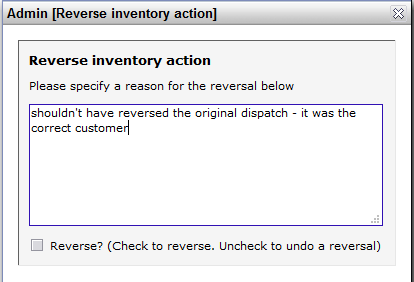 Leave it checked to process the dispatch reversal; fill in the reason for the reversal and click Save. To un-reverse your reversed dispatch open up the History tab for the stock item in the Stock Item Overview. You will need to check the Show Reversed box to view your previously reversed dispatch. 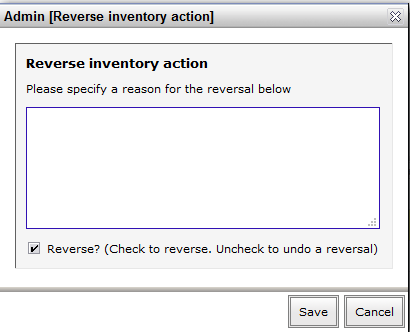 Click the drop down arrow button and select Un-Reverse. Provide your reason and then click Save.